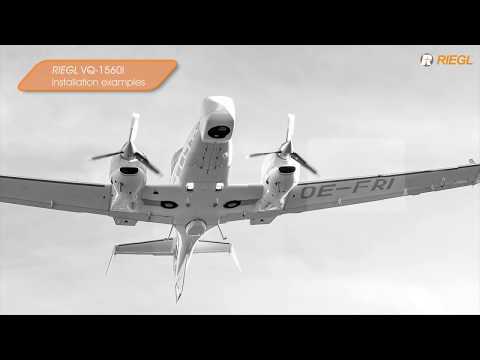 The new ultra high performance, fully integrated and calibrated Dual Channel Airborne Mapping System RIEGL VQ-1560i makes use of RIEGL‘s sophisticated Waveform-LiDAR Technology enabling an excellent multiple-target detection capability and Multiple-Time-Around (MTA) processing. The system is capable of online waveform processing as well as full or smart waveform recording, resulting in unsurpassed information content on each single target. The new VQ-1560i provides a laser pulse repetition rate of up to 2 MHz resulting in more than 1.3 million measurements per second on the ground and operates at an altitude of up to 18,300 ft. That allows operation at varying flight altitudes resulting in a wide range of point densities. Thus, the system is ideally suited for aerial survey of ultra wide areas as well as of complex urban environments. By the way, faster and more efficient flight planning and safer flights are enabled.